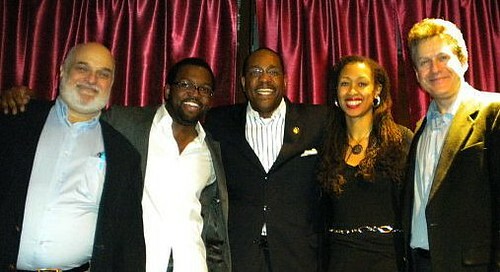 1)Nov., 2011 Ron Rice makes it clear he wants to run for Congress, Respectfully tells the Payne family hes going to run. 3)Donald Payne Sr passes, now it looks like Ron Rice will win it running away….. Then Nia Gill announces the same day as Donald Payne Jr, and doesnt get on the ballot for the unexpired term, which would lock an advantage in seniority vs everyone who wins in November. The fact of the matter is Nia Gill announced the same day as Donald Payne Jr, knowing fully she would split the Suburban vote with Ron Rice, and possibly enabling a Payne win. Clearly the conventional wisdom suggests that Gill & Rice would split the suburban vote. A new face in NJ-10? So many amendments had weakened the original bill- worst were the exemptions to disclosure, (Like Green Peace and NRA), that Donald Payne felt he couldn’t vote for it. SEIU, UAW and the AFL-CIO have rated Donald Payne 100%. I’ve asked Freeholder Carol Clarke if she had considered running for Donald Paynes seat, a few times… but I think she loves Essex County to much. 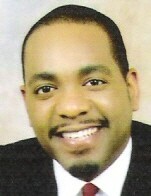 One of the many people I’ve met thru DFA, is Newark Councilman Ron C Rice, before he ran for council. Hes impressive in his due diligence in representing the people of Newark’s West Ward, in a quite conversation on housing and the effect of the Bayonne Boxes that developers were erecting in Newark, he spoke of something better than that. Knowing that knocking down old row housing and building new row housing was not a long term net plus solution. Ron spoke at a Tom Wyka fundraiser in Montclair in 2008, before the end of the afternoon, I joked with Ron, “So Ron when are you running for Congress?’. And in 2010 at a Rice fundraiser at the Spot Lounge in Newark I asked Ron again, when are you going to run for Congress. Its become a running gag between us. But seriously dude, when are you going to run for Congress? Why I did a fundraiser for Newark City Councilman Ron Rice Jr.
Last night I visited Newark, NJ for the first time. I’d been through Newark on buses and trains between NYC and Philly or DC, but I had never bothered to stop. I’d become mildly obsessed with the city as my previous posts on Mayor Cory Booker and the Brick City documentary made clear. However, last night, I had good reason to exit the train station and stay a while. I had been invited, along with comedians Leighann Lord and Scott Blakeman, to donate my time to a re-election fundraiser for the city councilman for the West Ward. Ron Rice Jr, I was told, was s true progressive. He was the first New Jersey candidate nationally endorsed by Democracy For America. He supports marriage equality, believes in evolution and was part of the largest turnover in Newark city government when he, along with Mayor Booker and five other council members, were elected in 2006. To finish the business of the 1969 Black and Puerto Rican Convention by decentralizing the decision-making process of the city of Newark by example in the West Ward and to empower West Ward stakeholders to create a holistically stable ward for all of its residents. The West Ward Collective is organized and run by workgroups and ward based organizations and non-profits… Each workgroup is made up of West Ward residents, community based organization leaders, ward business owners, etc. that have expertise and/or interest in working on these issues directly for the benefit of the West Ward. It is ward based. The WWC is organized into a series of workgroups such as education, arts and culture, housing, etc and meets twice a month. It helps raise awareness of city resources within the community, and operates in the opposite direction, influencing city policy based on community involvement. I was impressed with Rice’s commitment to sharing and distributing power deeper within the community. Elected officials often use their positions to consolidate power for themselves, to make themselves indispensable to the extreme and create something that looks more like a kingdom than a democracy. Rice appears to be doing the opposite, and I was proud to support that effort in a small way last night. Side note: I also learned that making Sharpe James jokes in Newark is still a bit risky. He has some vocal supporters who let me know my jibes and Marion Barry comparisons were unwelcome. As we often say in the business: too soon. You can find out more about Ron Rice Jr on his website. (Incidentally, his father is State Senator Ron Rice, whom Booker defeated for mayor in 2006). A Suburban Taxpayers view of A-500: FACT VS. FICTION? Below I have taken the New Jersey Assembly Democrats “Facts” which I consider Fiction and added what I consider to the be the real Facts for the suburban taxpayers of New Jersey. Fact: A-500 will add a huge financial burden to the middle class taxpayers of New Jersey and works hand in hand with COAH’s third round rules to add additional costs to an already unfair and unbalanced affordable housing system in New Jersey. Fact: A-500 will add additional bureaucracy through a new State Agency called the State Housing Commission which will then administer the new affordable housing trust fund which will acquire its funding through a 2.5% tax on New Jersey Business development. According to many experts this new tax on New Jersey business will not be enough to cover new affordable housing costs which will then burden already financially stressed suburban communities to make up the difference. As a result A-500 adds unfair and unneeded taxes all while growing the size of State Government. Fact: Through this new legislation the New Jersey Democrats have pandered to the Home Builders of New Jersey, Local Trade Unions, and other special interest groups all at great cost to the middle class suburban tax payers of New Jersey. Any new fees and estimates which are used to calculate a towns “Fair Share” and “Cost” is unrealistic and the numbers used have no merit and leave local municipalities with no option other then costly litigation at this time to fight this unjust legislation. Fact: The new A-500 legislation goes against years of smart growth and planning by suburban municipalities in which farm and open space preservation have been achieved. Fact: The A-500 legislation does way with Regional Contribution Agreements which have allowed suburban municipalities to achieve smart growth and allow for open space preservation all while at the same time sending affordable housing dollars to where they are needed. By sending affordable housing dollars to the urban areas of New Jersey where people with affordable housing would have access to mass transportation and access to jobs in areas served by mass transportation. Fact: A-500 was ONLY supported by the Democratic Party of New Jersey and their political supporters, specifically Trade Unions, Builders, lobbyists and Democratic Party operatives all who will all have personal financial gain through this legislation. Fact: A-500 in combination with the new COAH third round rules place impossible to obtain affordable housing goals on the suburban municipalities of New Jersey. Further the Democratic Leadership in New Jersey intends to fast track all obligations to be settled by December 31, 2008 in an effort to force the suburban municipalities of New Jersey to comply. Fact: A-500 and COAH’s third round rules go against all smart growth plans which the State of New Jersey has developed to this point in time. Fact: A-500 is a mandate from the Democratic party of New Jersey which will not be changed unless challenged through the court systems at great cost to the taxpayers first from the cost to their suburban municipalities and then as a double whammy then these same suburban taxpayers are forced to foot the states legal bills. Your politics 101 quiz: Which of these Congressmen is thinking of running for the U.S. Senate? After months of consideration and meeting with countless interested parties – including immigrant and civil rights groups, law enforcement professionals, and advocates who work with domestic violence victims – last week New Jersey’s Attorney General finally issued a long-awaited directive on the issue of what role local police can play in federal immigration enforcement. (Background here). In a nutshell, the directive says that local police must inquire about immigration status upon arrest of a suspect for an indictable offense, and report individuals suspected of being undocumented to Immigration and Customs Enforcement (ICE). It also says that police may not ask witnesses, victims or people seeking assistance about their status. The directive includes strong statements about immigration enforcement being the primary duty of the federal government, about the counterproductive consequences of entangling local police in immigration enforcement, and about the state’s commitment to combating racial profiling. Nevertheless, for police professionals and community advocates alike, the directive raises more questions than it answers. The problem is what the directive doesn’t say. When I think of Congressmen Steve Rothman and Donald Payne, “conservative” is just about the last word that pops into my head. Am I worried about either of their progressive bona fides? Not really. However, I’m a little concerned about the choices made by some of their staffers. Two, to be precise. Shelly Stoneman serves as Rothman’s Legislative Director, as well as Military and Foreign Policy LA. Kerry McKenney is Payne’s Legislative Director and Press Secretary, a juxtaposition I don’t quite get, but that’s beside the point. The point is that no one serving at the pleasure of New Jersey’s progressive voters should be attending conferences put together by the right-wing Mercatus Institute. And yet, according to records of travel by Congressional staffers analyzed by Kagro X at Daily Kos, that is exactly what each of them did in February of this year. When it comes to business regulation in Washington, Mercatus, Latin for market, has become the most important think tank you’ve never heard of. Staffed by veterans of the White House office that reviews and often scales back proposed rules, Mercatus, with its free-market philosophy, has become a kind of shadow regulatory authority. The White House’s top regulator, John Graham, was briefly a member of Mercatus’s board of advisers before taking the government post. And an analysis of their financial support network, done in early 2005 by MyDD’s Chris Bowers, explains their interest in so-called “free-market” deregulation. Familiar right-wing names like Koch, Olin, and Scaife have pumped tens of millions of dollars into the organization since its founding in 1985. The Mercatus agenda can be summed up as the wholesale destruction of any and all government oversight of big business, consequences be damned. The only other member of the New Jersey delegation with staff at the conference was Scott Garrett, whose Chief of Staff Michelle Presson was in attendance. While it makes perfect sense that Garrett’s staff would work in association with a group like Mercatus — he’s a far-right Representative, they’re a far-right think-tank — it doesn’t speak well of either Payne or Rothman to have their names associated with the Mercatus Center. I’m not suggesting that Stoneman or McKenney should be run out on a rail for attending one Mercatus conference. But we really ought to make it clear to our lawmakers that corporatist, anti-government think-tanks like Mercatus are not to be considered honest or credible sources of information or training for their staffers. Finally put my videos on YouTube. We start with two from Rep Pascrell.